Pres. 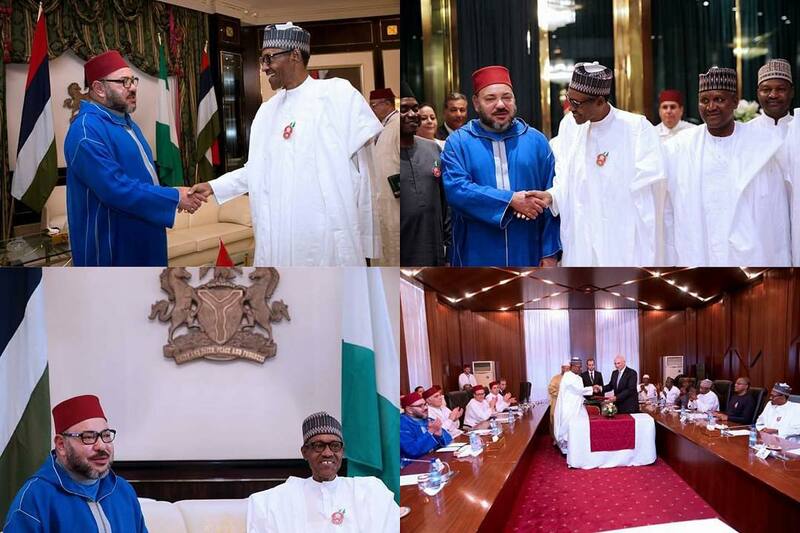 Buhari and King of Morocco sign 7 bilateral agreements. 1. Agreement between OCP Group and Dangote Group to develop the fertilizer business in Nigeria. 2. Cooperation Agreement between Dangote Group & OCP Group in strengthening the local blending capabilities and Agricultural Ecosystem. 3. Agreement on the Exemption of Visas for Diplomatic and Official/Service Passports. 4. Bilateral Air Services Agreement (BASA) between Nigeria and Morocco. 5. Agreement on Marine Fisheries Cooperation (Minister of Agriculture, AuduOgbeh signed on behalf of Nigeria). 6. Agreement in the field of Agriculture (signed on behalf of Nigeria by Minister of Agriculture, Audu Ogbeh). 7. Agreement between Moroccan Agency for Sustainable Energy & its Nigerian Counterpart (signed on behalf of Nigeria by Min Babatunde Fashola). A second set of Agreements will be signed today, Saturday December 3, 2016.